Zoo tours make learning about the different animals that live here easy and fun. Get the most out of your Zoo visit with a 60-minute guided tour! Led by one of the Zoo’s expert educators, you will learn about some of your favorite animals and exhibits around the Zoo, including polar bears, penguins, rhinos, and cheetah, to name a few. You’ll have the chance to ask questions and learn how the Zoo takes care of its animals and works to save species around the world. Available any day of the week from 11 a.m. to 2 p.m.
Reservations and two weeks advance notice is required. Each guided tour can accommodate up to 15 guests. If your group is less than 15 guests you may share your experience with other guests. Tours are available on a first-come, first-serve basis. Tours are weather, staff, and animal dependent. The Zoo reserves the right to cancel a tour or end a tour for any reason. Once purchased, guided tour tickets cannot be returned or refunded. Tours are non-transferrable and tickets cannot be used on a different tour day. Tours do not include Zoo admission. If you are not a Zoo member you’ll need to purchase admission tickets on or before the day of visit. Guided Tour Questions? 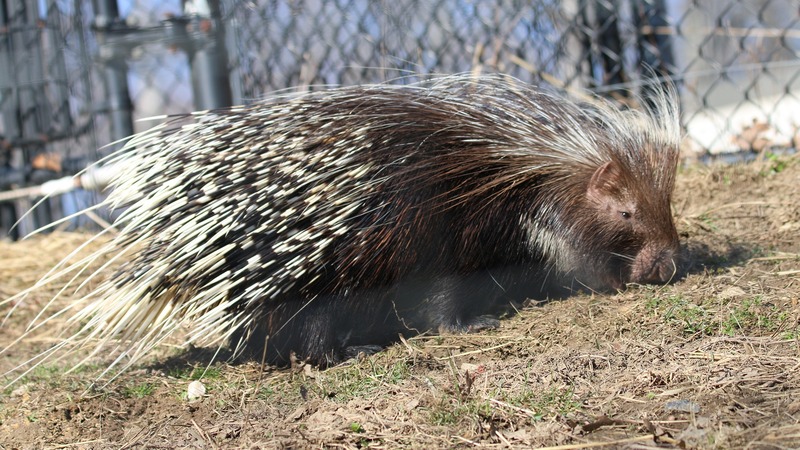 Call 443.552.5300 during normal Zoo hours or email public.programs@marylandzoo.org. *Please note that submission of the above form does not guarantee registration for the Guided Zoo Tour. Guided Zoo Tour dates will be filled out on a first-come-first-served basis, until the programming dates are sold out. We will contact you via email within two weeks of receiving your reservation request to inform you of your tour date. These 1-hour tours are available for college groups only. The focal topic of the tour is Zoos and Conservation. Custom topics may be developed for an additional fee. For more information, contact the School and Teacher Programs team at 443-552-5303. Zoo Treks are themed self-guided tours designed for school groups to print and bring along on their field trip visit. Each Zoo Trek highlights eight species or exhibits that tie into the particular theme. 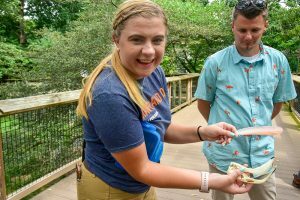 Teachers, use the animal and exhibits highlighted in the Zoo Treks to help guide and focus students on their journey through The Maryland Zoo.